I am really excited! The magazine Que Rica Vida will be launching it's new site next month! To celebrate their new launch, they will throwing a mad party! They have invited me to Miami to be a guest, and although I'm still nervous and a little anxious about leaving my family in LA, I am still looking forward to joining other fellow Latina bloggers to celebrate the big event. The party will be on May 20th, and guess what? You are invited too! Ofcoarse you will need to pay for your trip there. But if you will be in the area that day, you can be one of the exclusive 500 guests to attend. Karla Martinez, Adamari Lopez (love her!) and Dra. 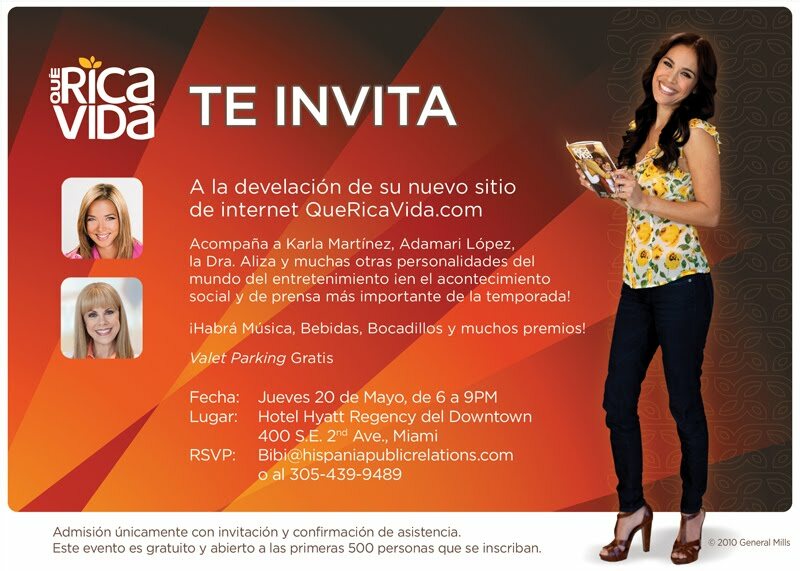 Aliza will be some of the Latina stars to attend. To RSVP email Bibi@hispaniapublicrelations.com. Let them know you heard about the party on my blog. 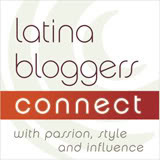 * I was given this info so you can join me and other bloggers at this exclusive event. I shared on my own account and was not given monetary compensation to do so. I will be one of their guests flown out to party! And hope you can join us too! Yay! I look forward to meeting you there. I am so excited about the trip. I've never been to Miami. My birthday is on the 20th and I'm bringing my daughter and husband to make a little mini-vacation out of it. Exciting!!! Can't wait to meet you too!! NOs vemos alla, ya falta poquito!! !